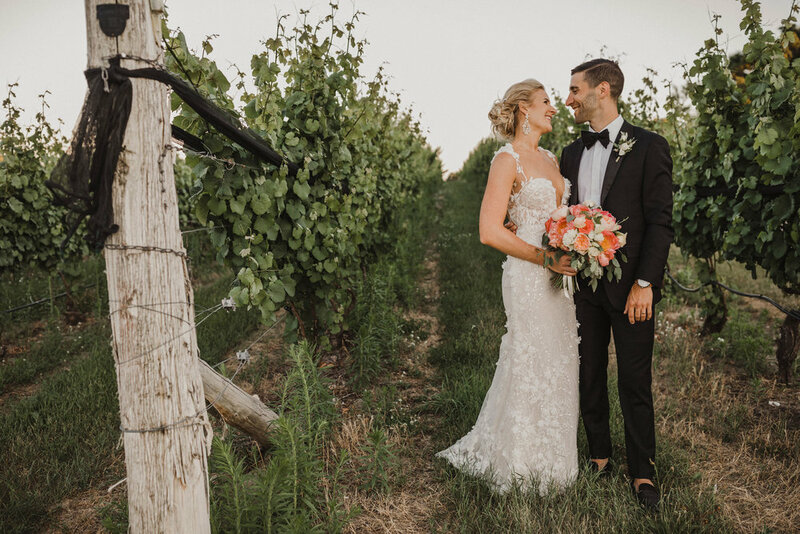 Who doesn’t love a summer wedding, especially when it’s located at a picturesque winery in Northern Michigan? Brittany’s vision for her and Brady’s wedding day was on pointe. 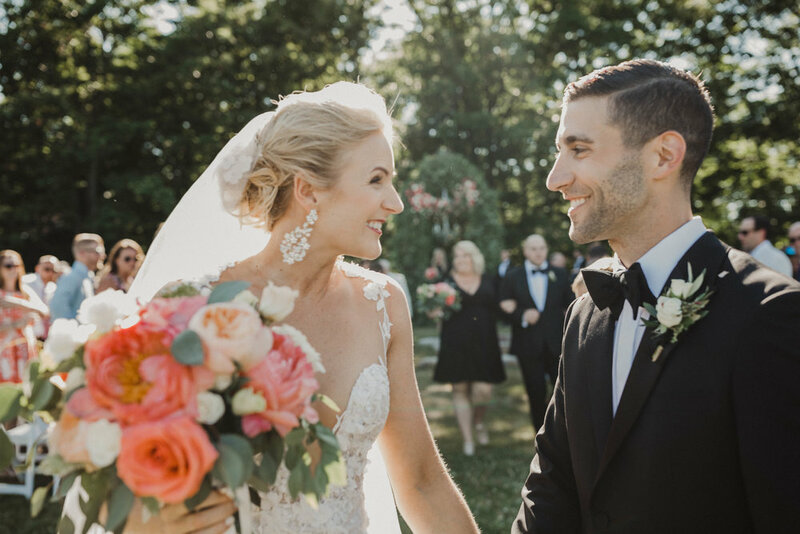 From the lush flower wall, to the 14-foot grapevine ceremony arch shrouded with greenery and flowers, to the elegant kings table with sparkling chandeliers suspended above; Brittany’s dream wedding at Brengman Brother’s Winery was brought to life. Brittany was absolutely breathtaking in her sophisticated gown and contagious smile. Her ladies wore classic black dresses in their own personal style. Brady and his men wore classic black tuxes. Their ceremony was held outdoors in front of a majestic grapevine arch lush with greenery and floral accents. Their guests were treated to refreshing wine while they waited for the ceremony to begin. The reception was held under the stars and twinkling bistro lights. Their guests enjoyed a colorful and delicious farm to table meal. 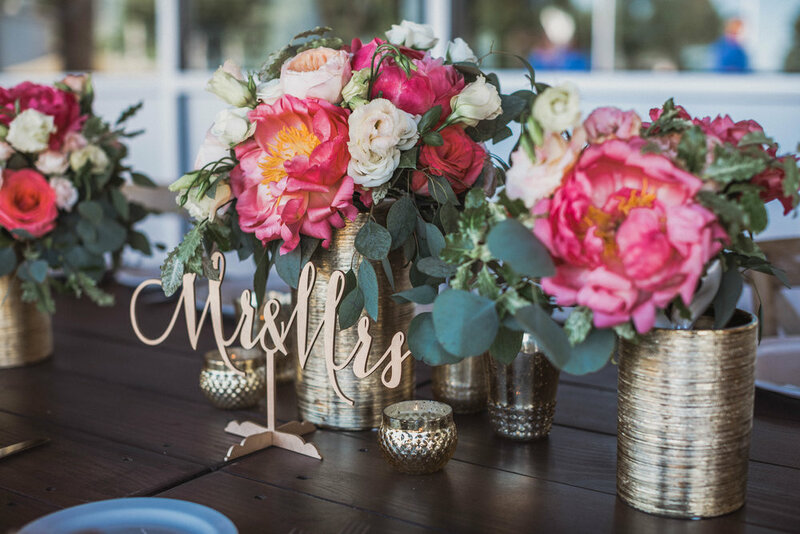 The bouquets, centerpieces and surrounding decor were filled with Coral Charm peonies, pops of yellow yarrow, and peach garden roses. The lush floral was brilliant among the grapevines and clear blue waters of Grand Traverse Bay. 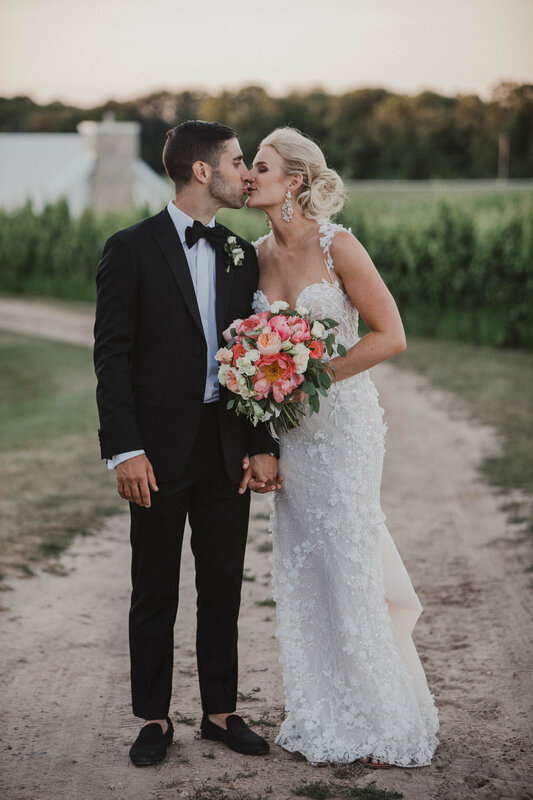 Thank you, Brittany and Brady, for allowing Merci Beaucoup Floral to be a part of this unforgettable experience and to fill your wedding day with flowers and beauty. You already had all the love.